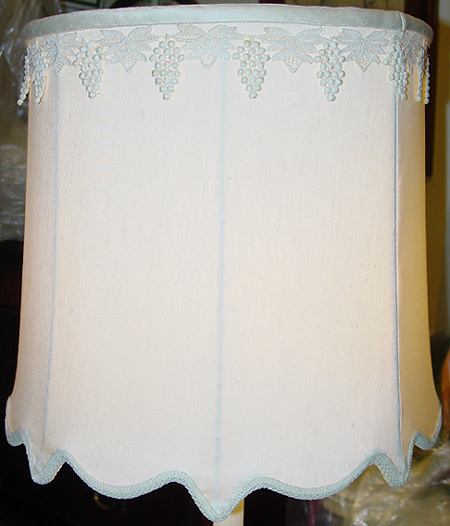 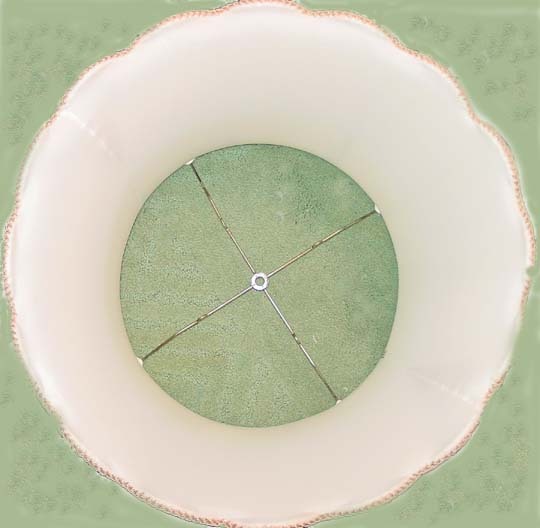 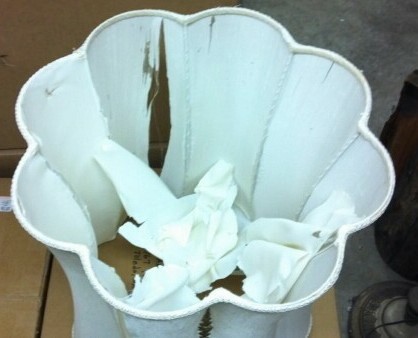 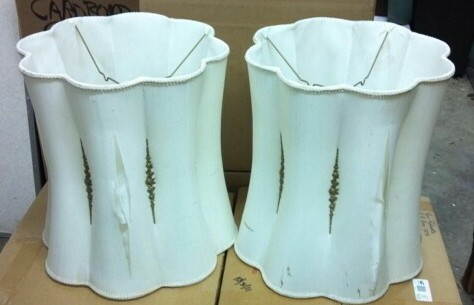 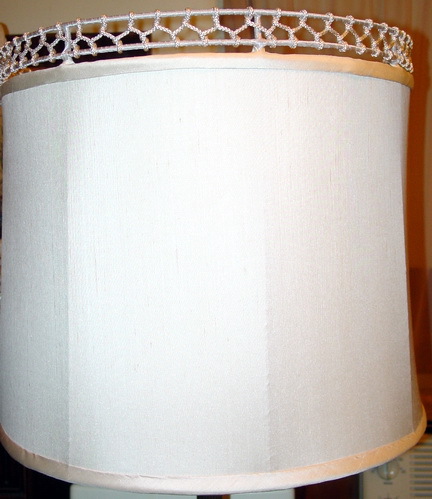 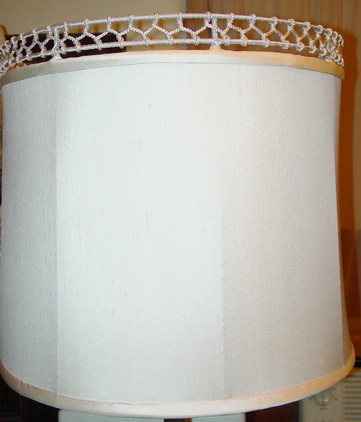 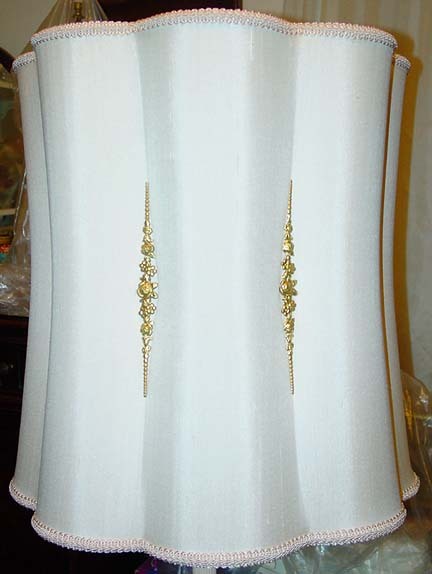 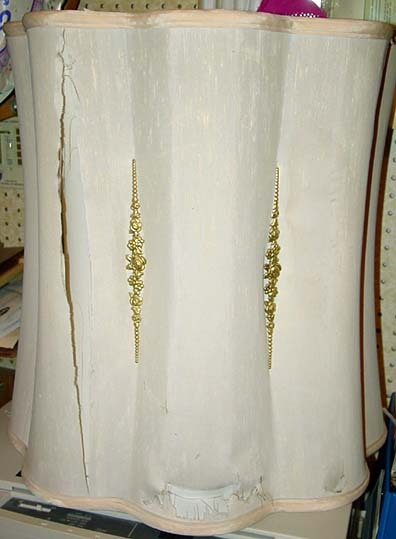 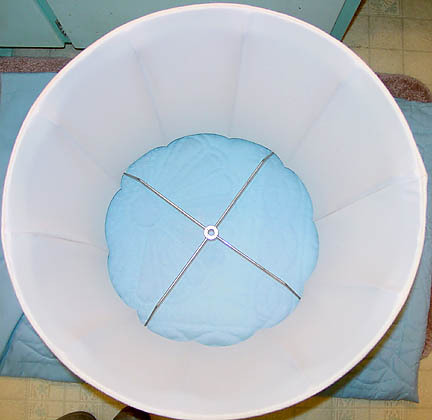 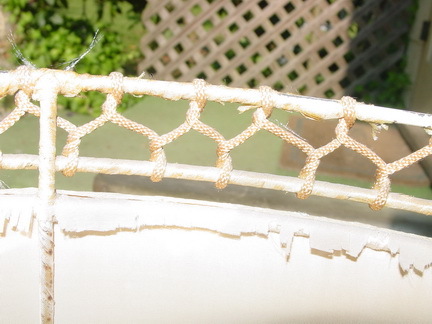 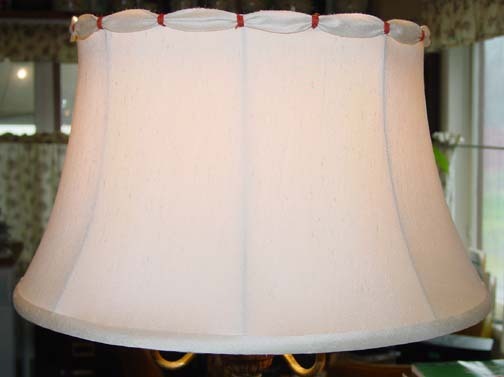 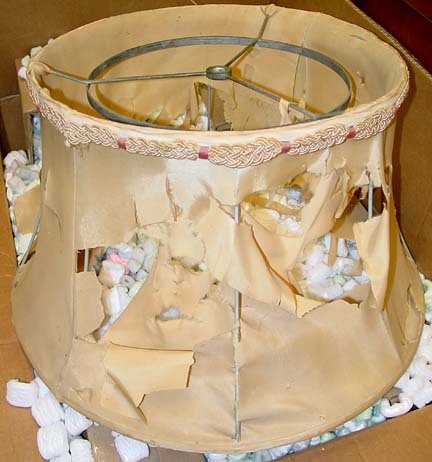 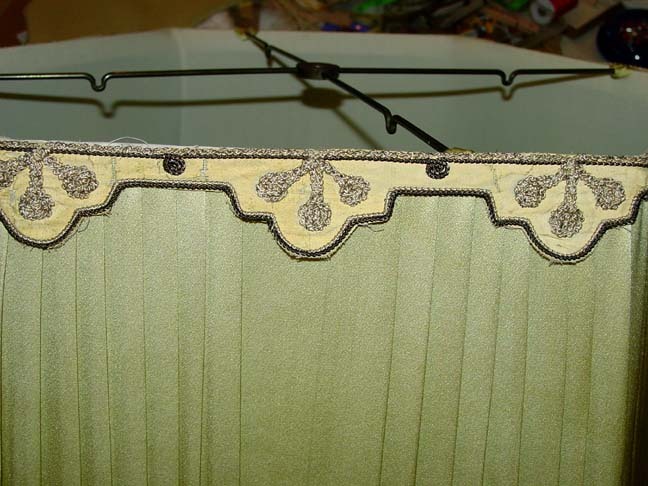 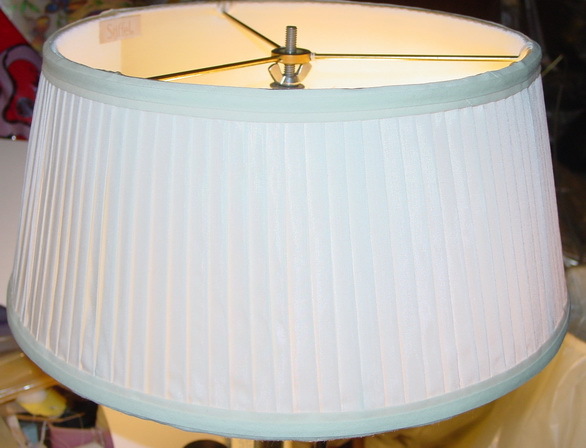 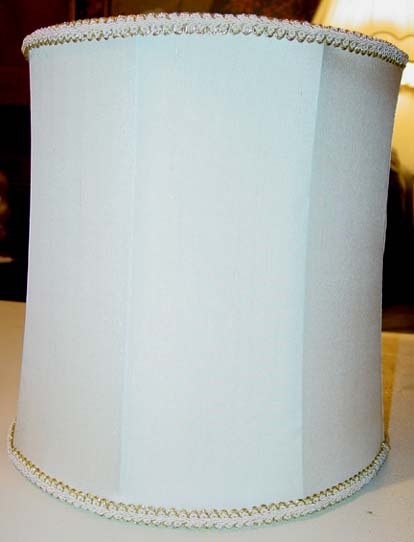 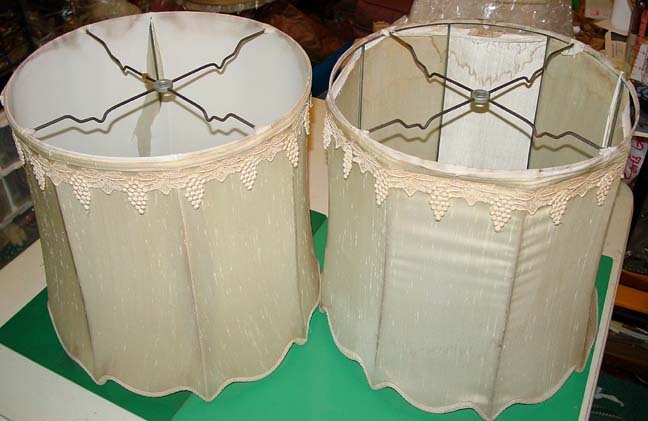 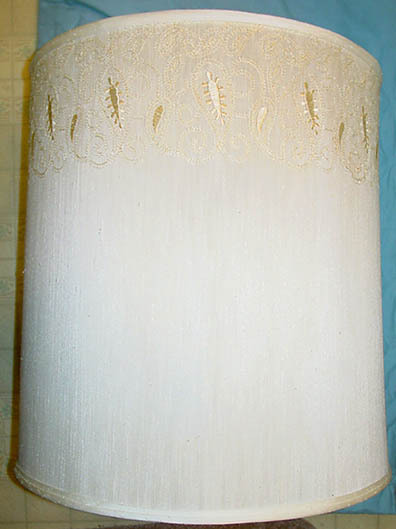 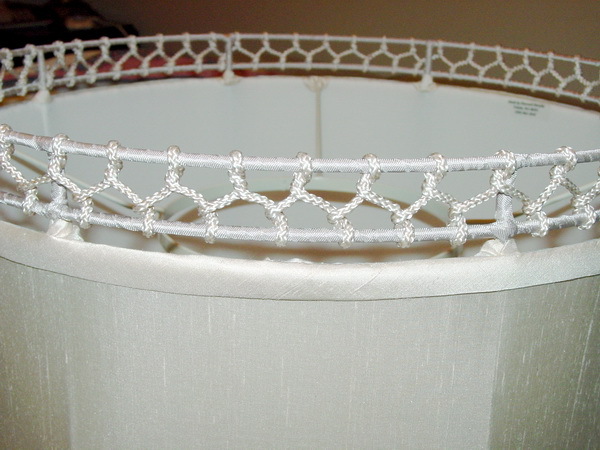 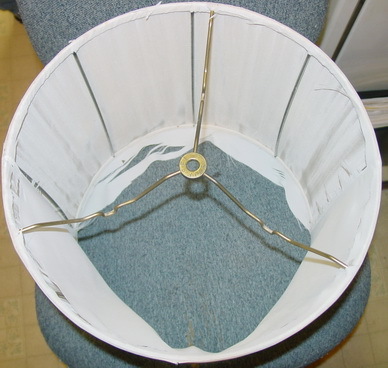 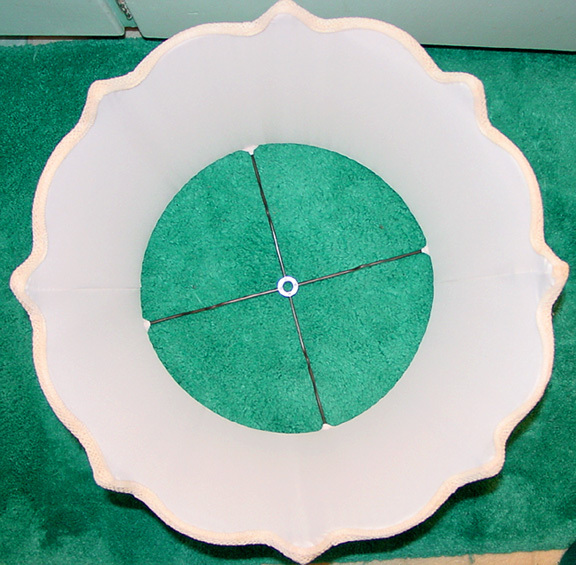 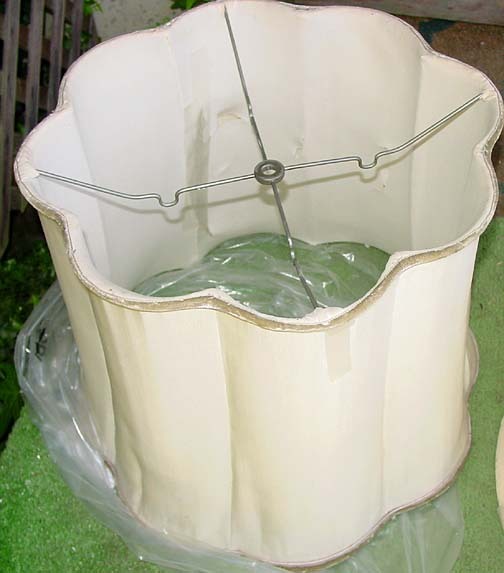 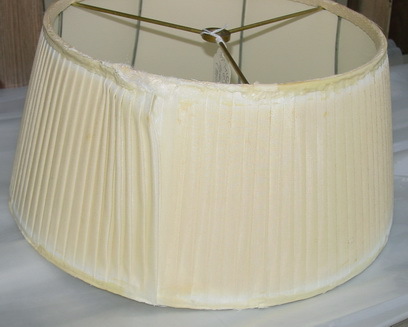 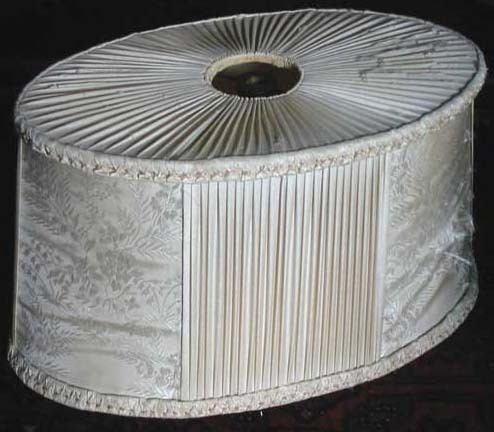 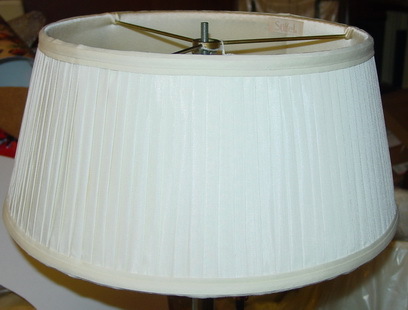 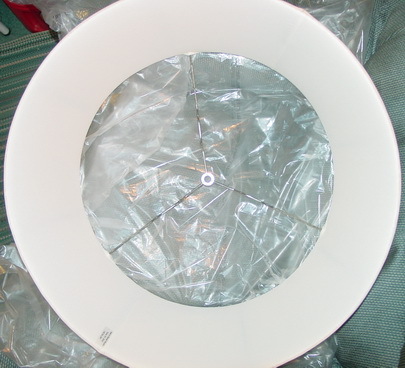 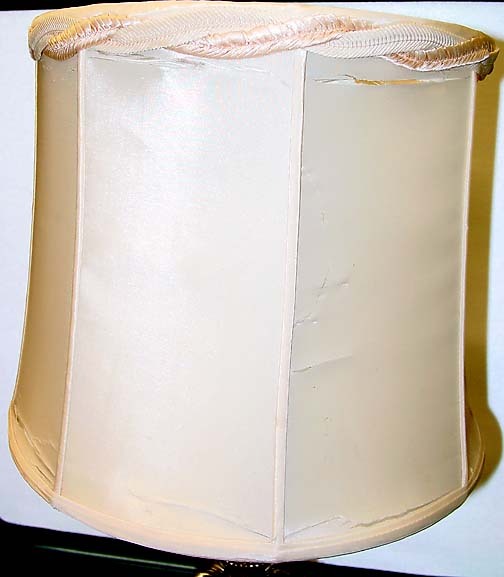 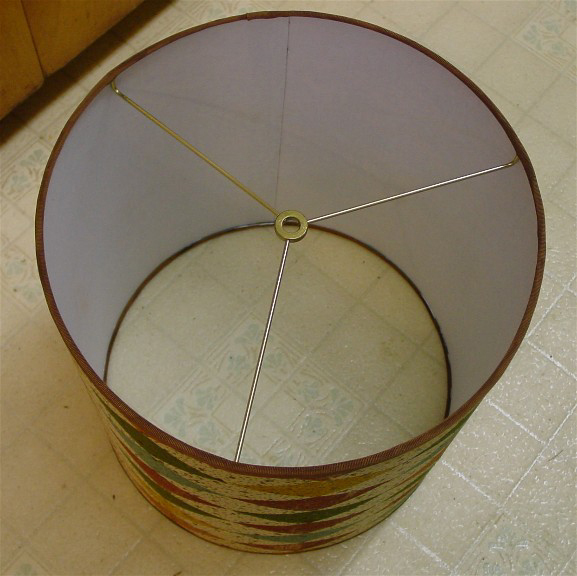 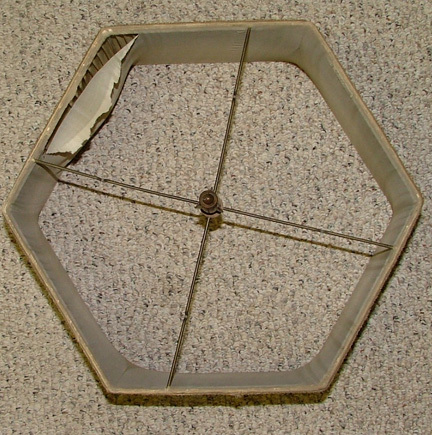 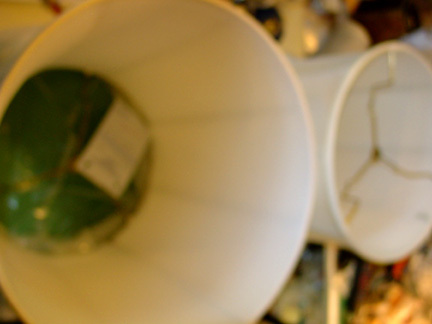 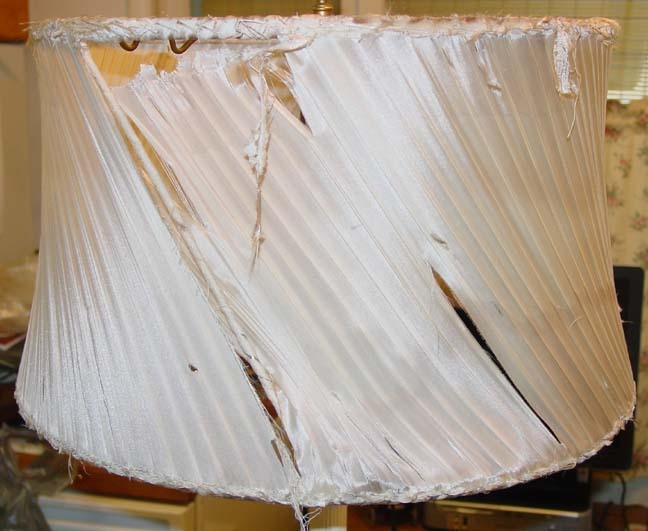 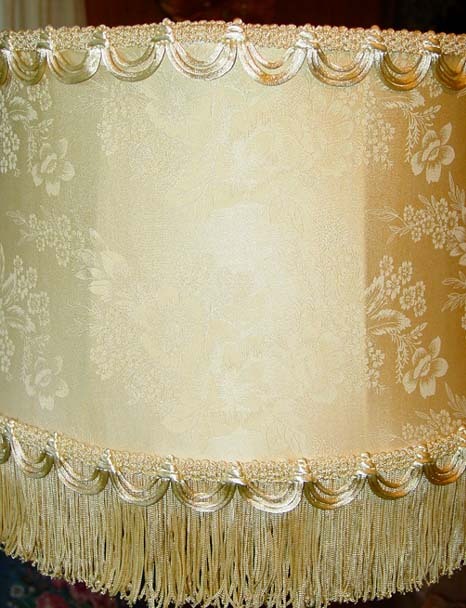 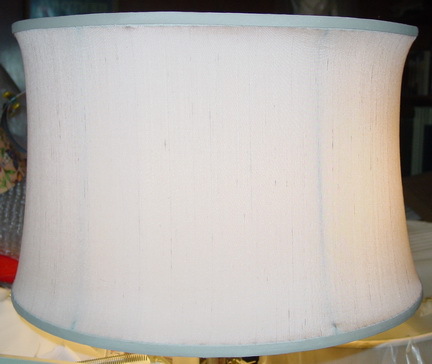 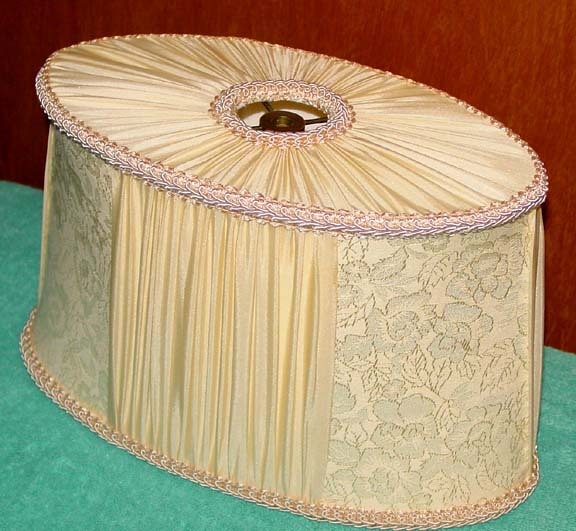 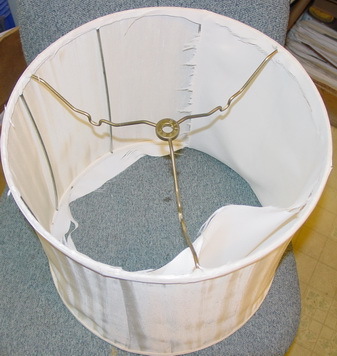 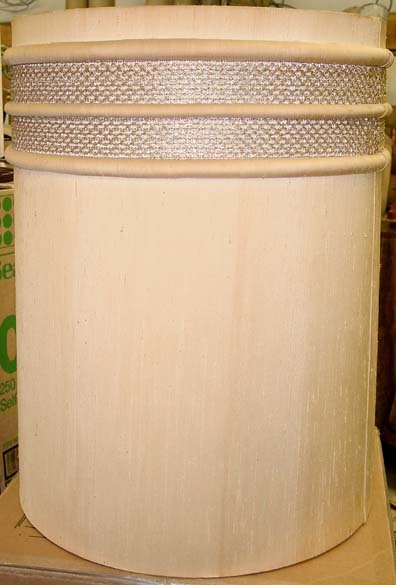 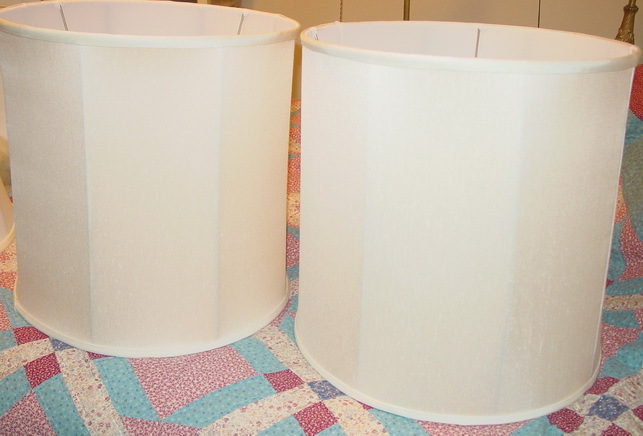 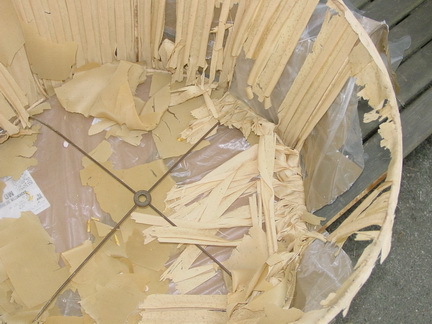 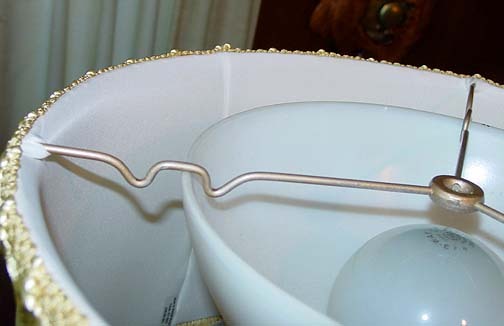 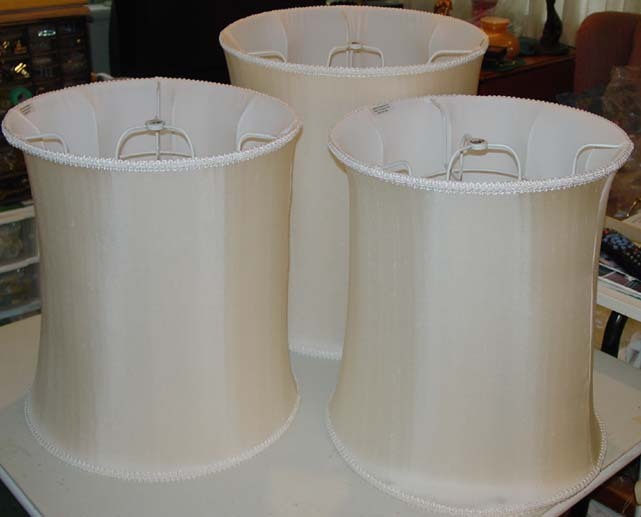 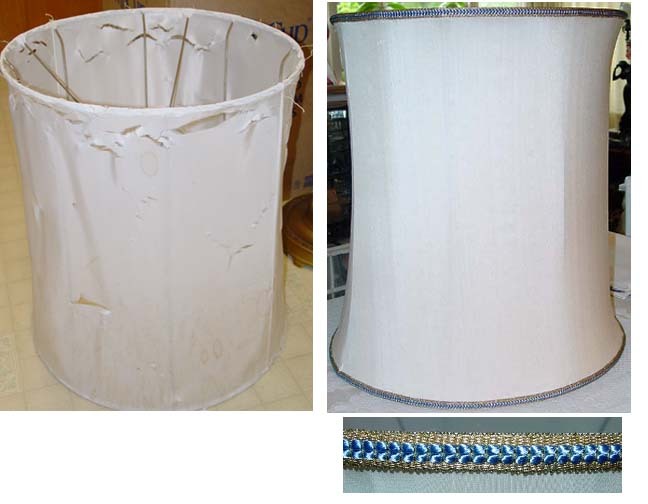 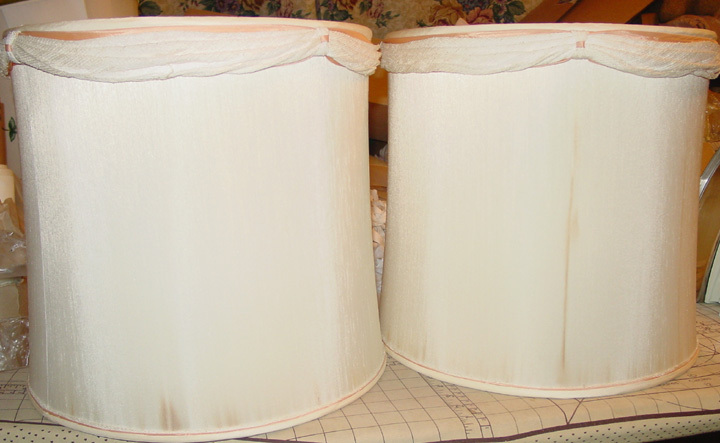 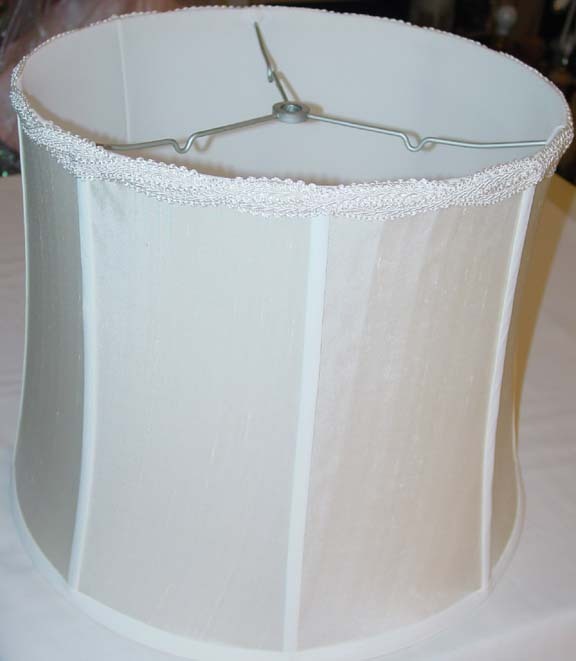 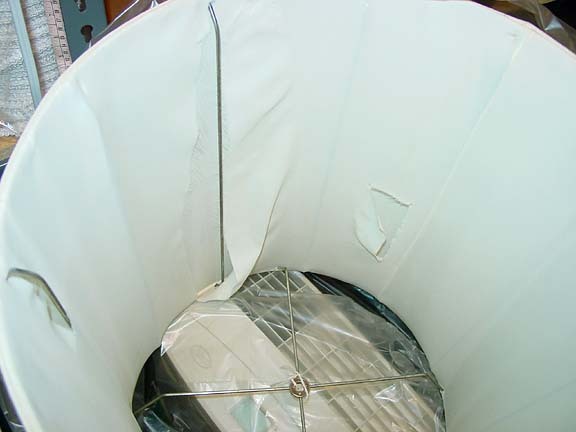 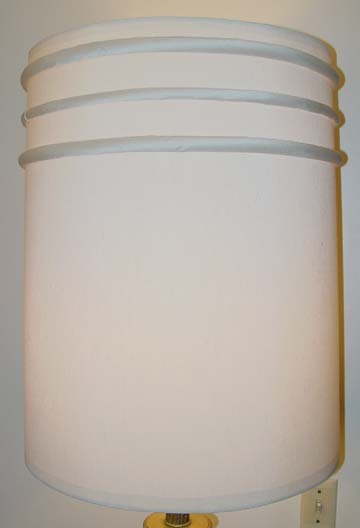 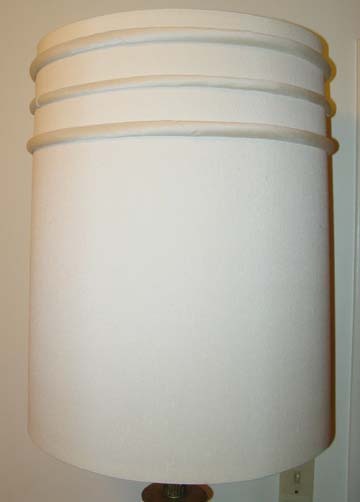 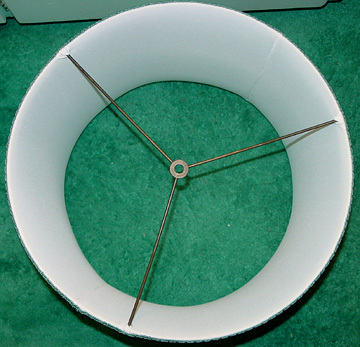 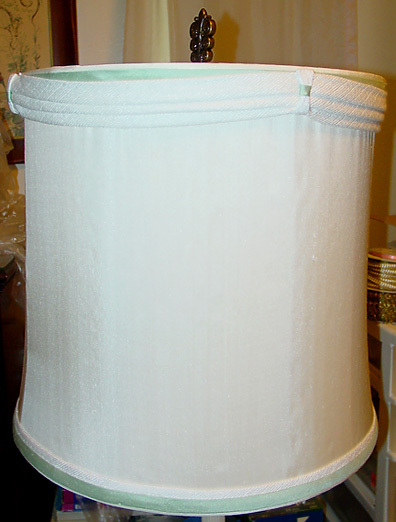 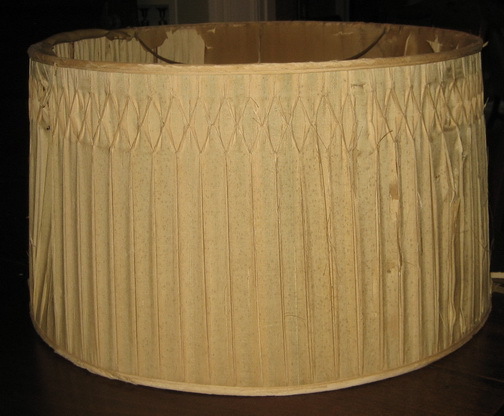 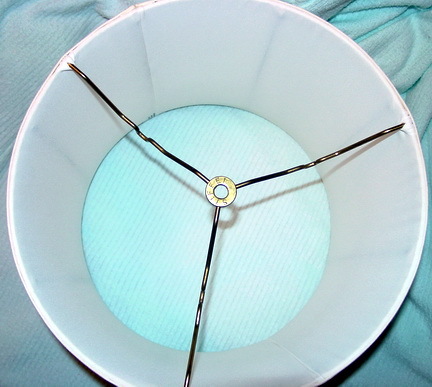 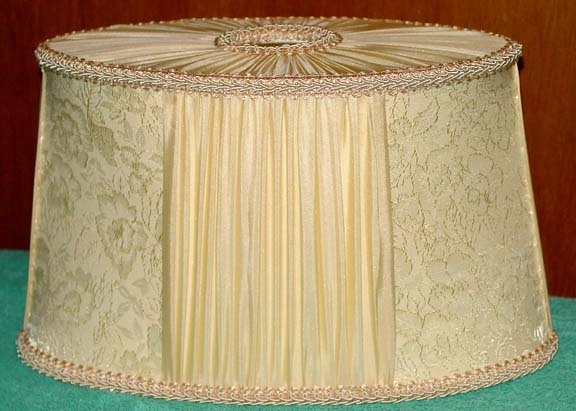 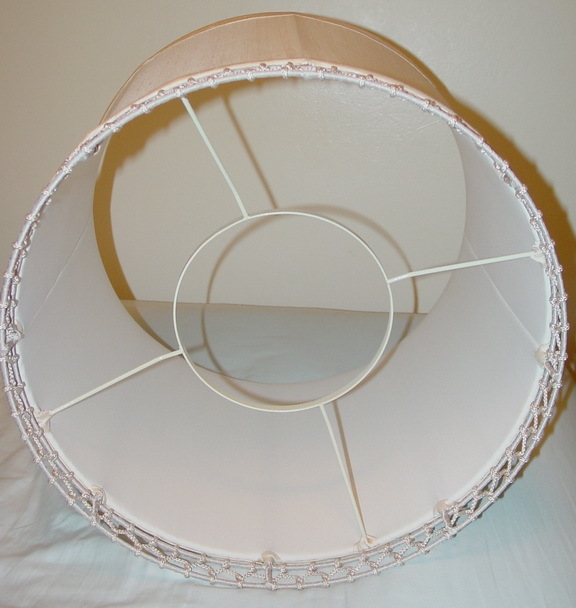 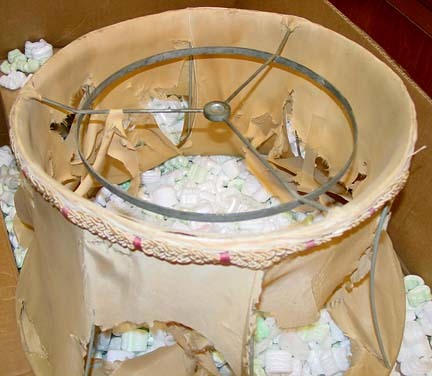 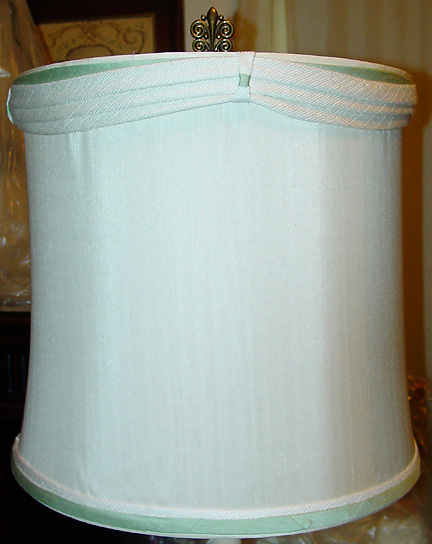 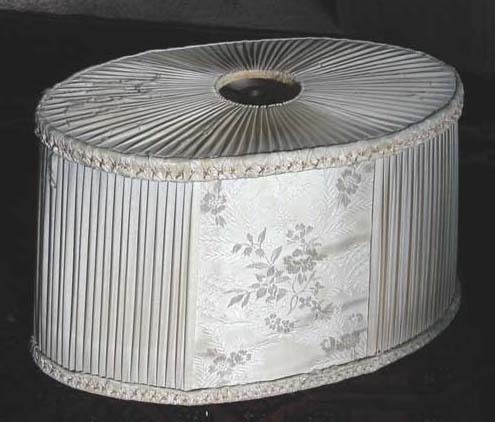 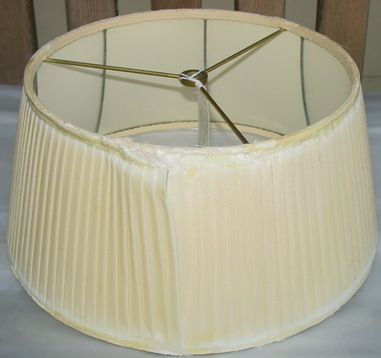 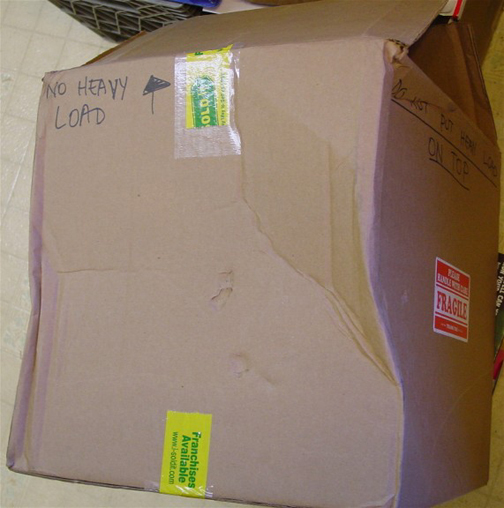 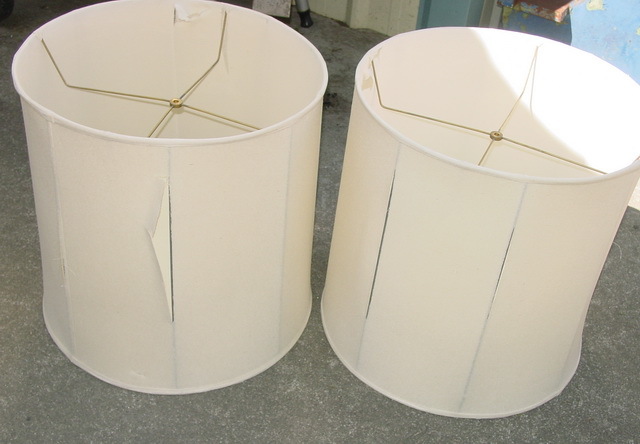 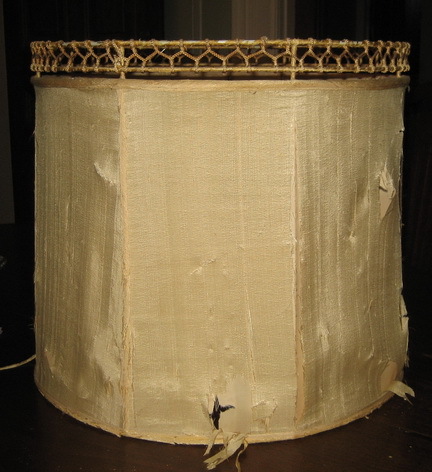 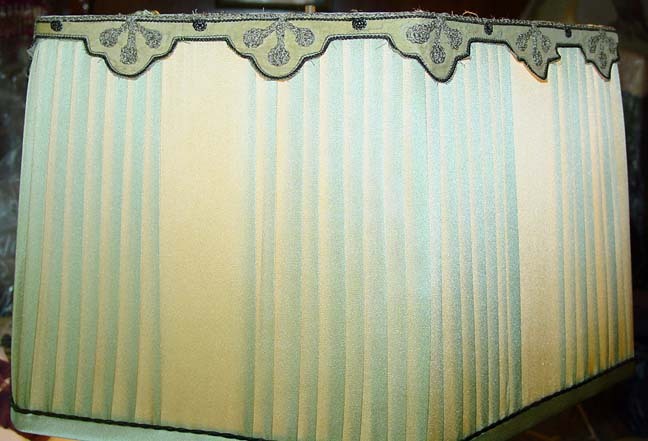 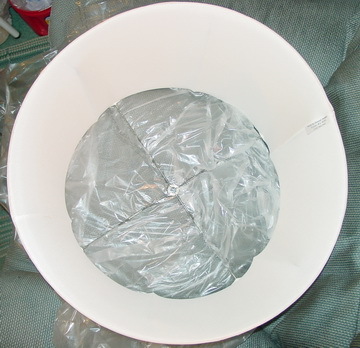 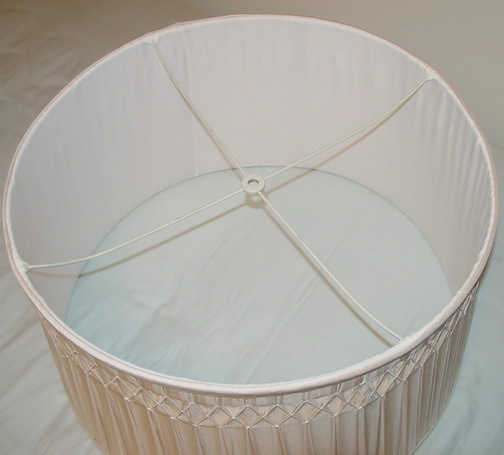 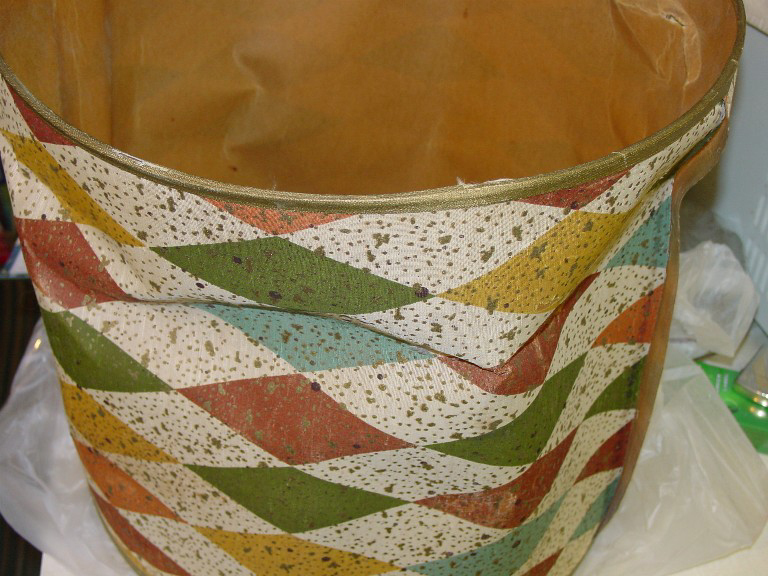 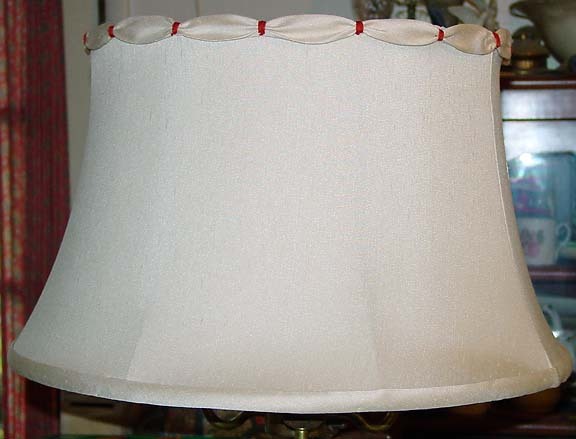 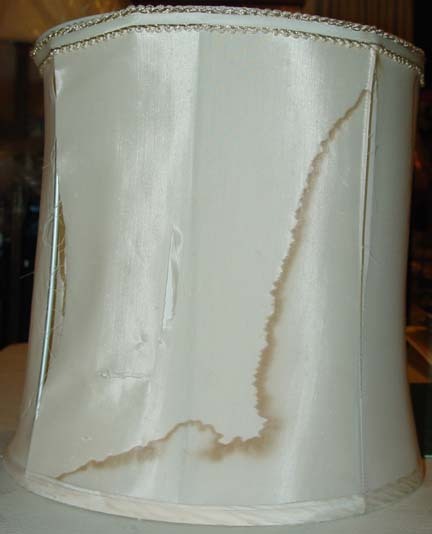 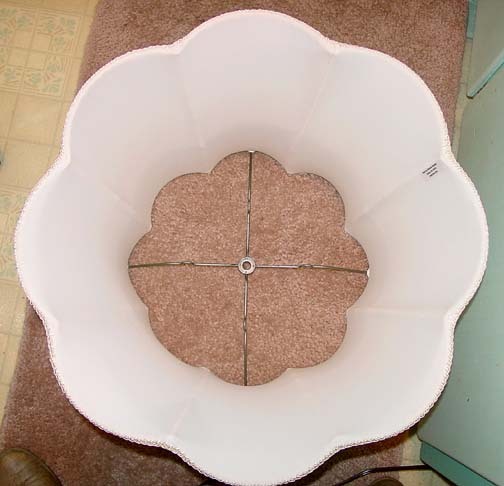 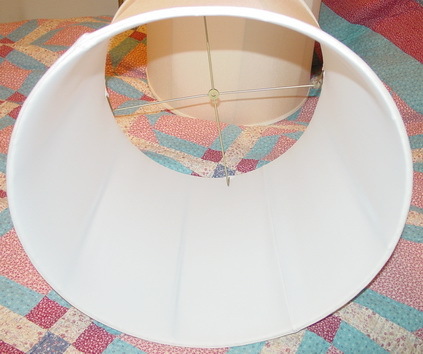 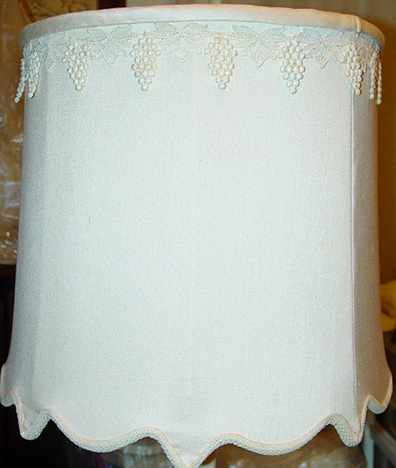 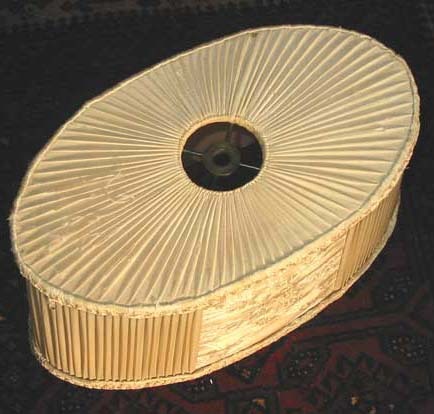 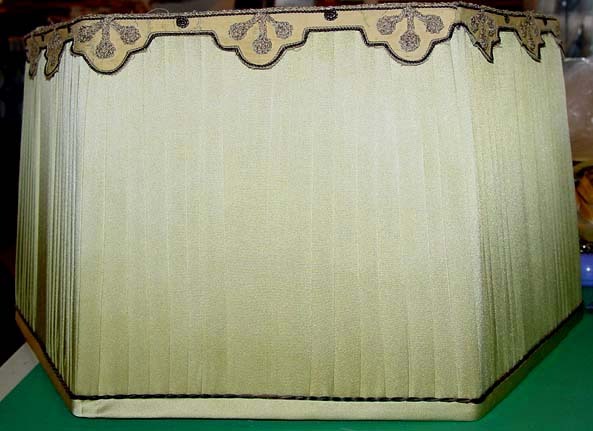 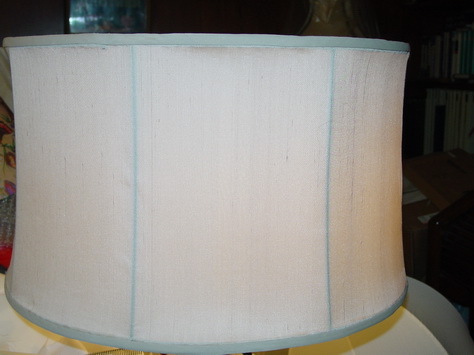 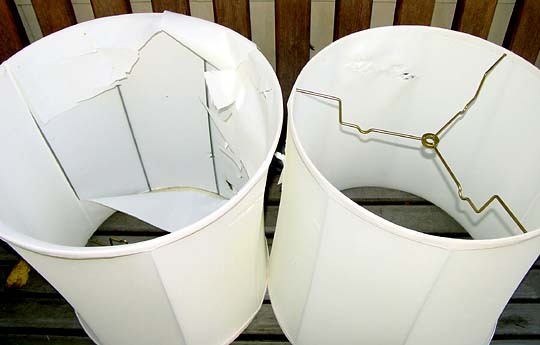 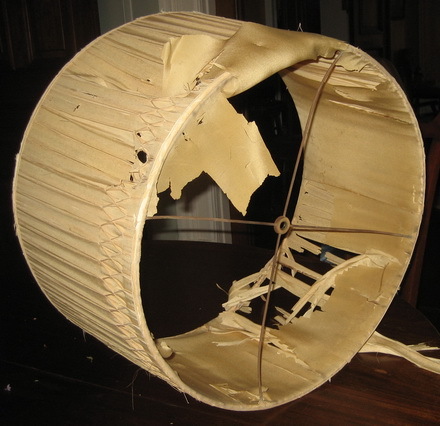 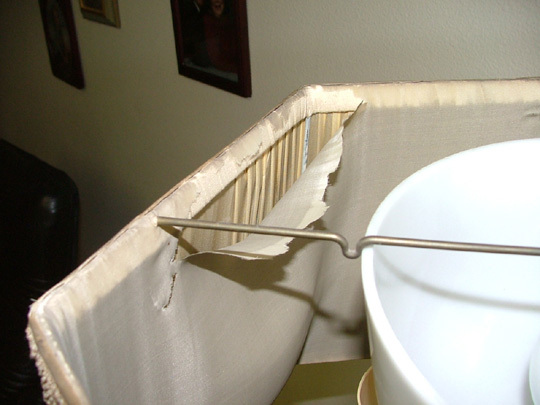 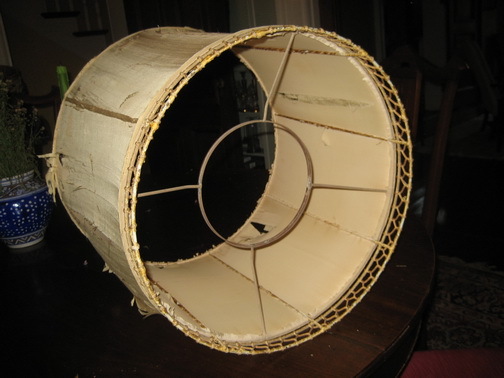 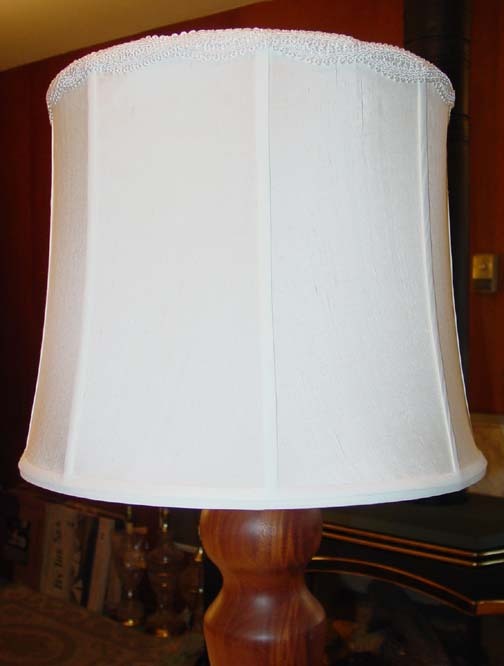 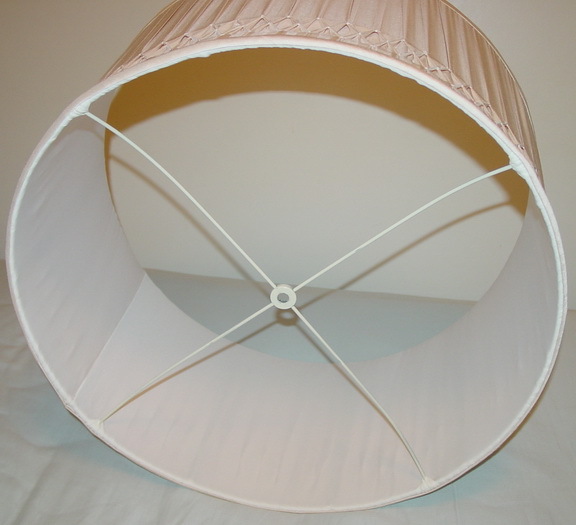 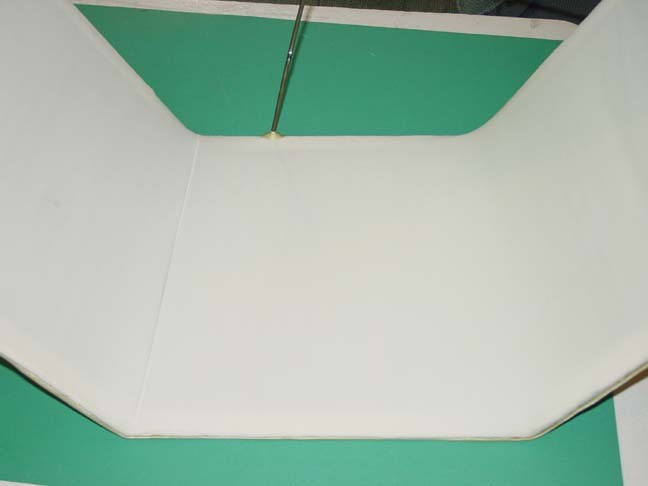 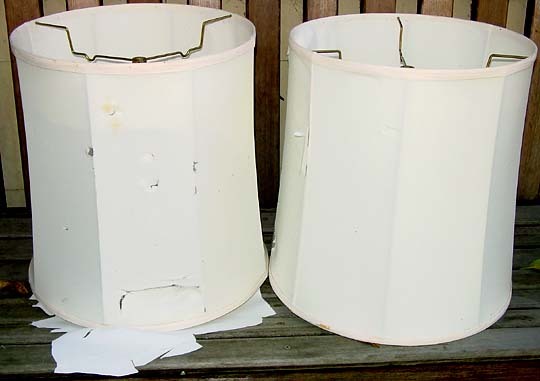 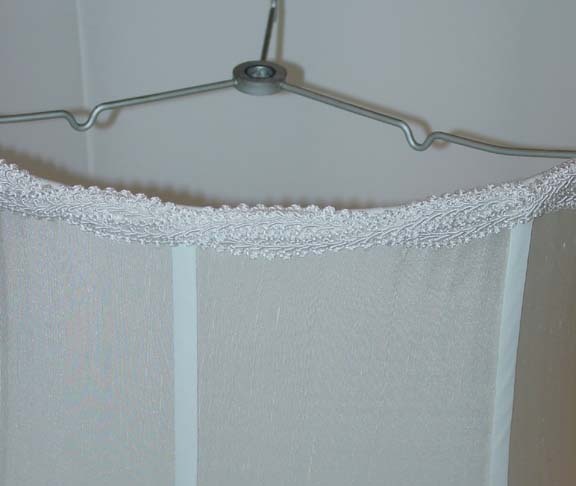 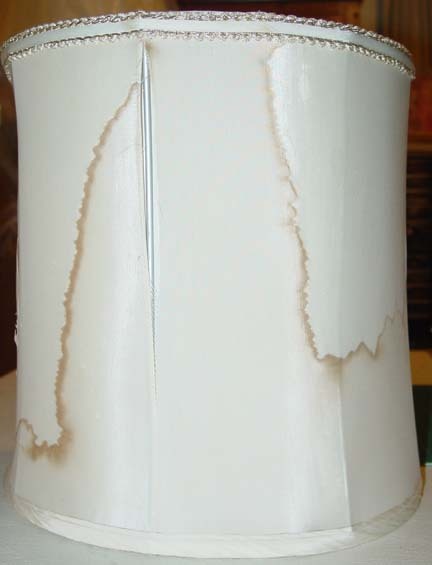 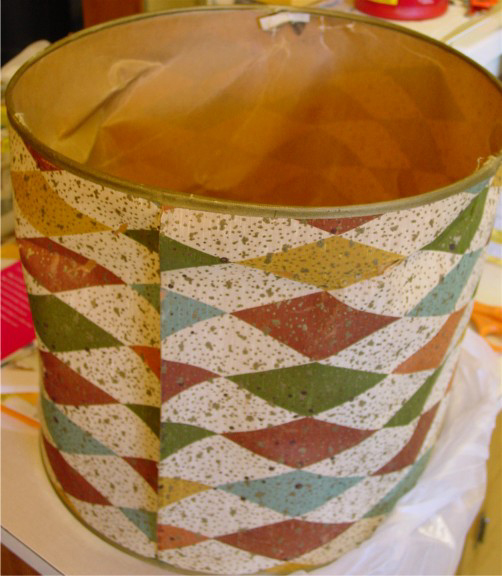 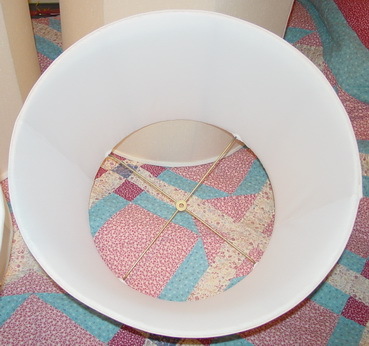 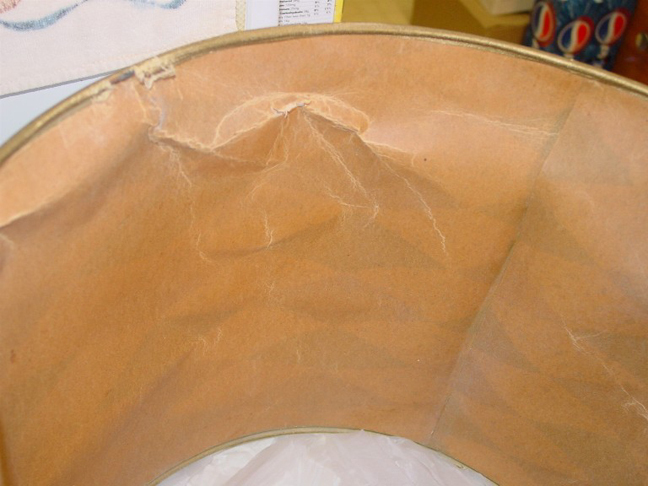 Inadequate packing can cause more damage to an already-distressed lampshade in shipment. 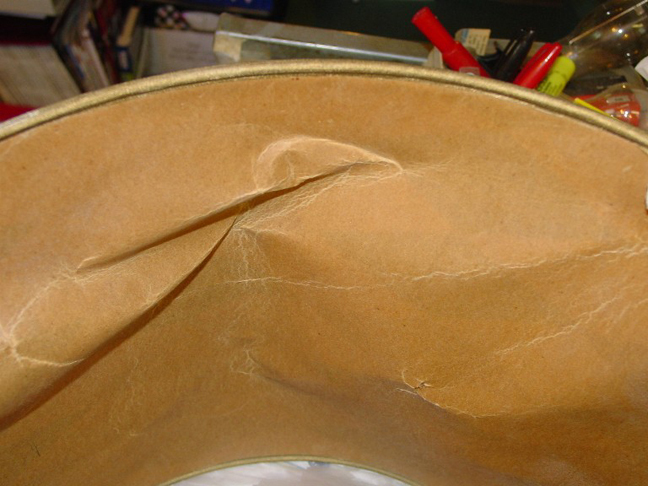 Sloppy postal service employees did more damage than all the years this shade was in service! 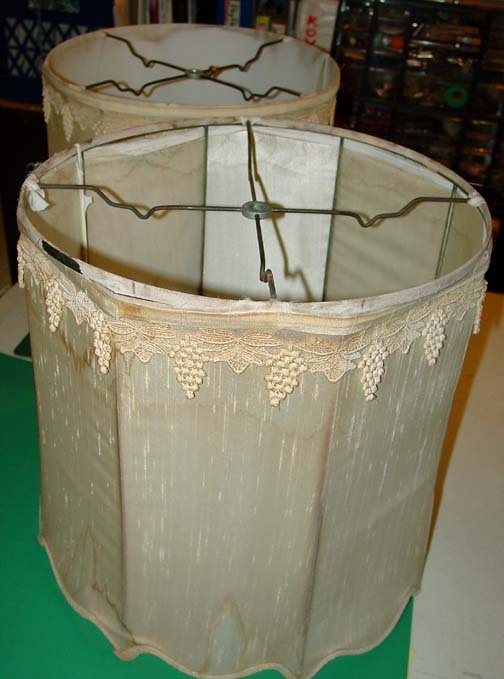 No shade too big or too small to be restored! 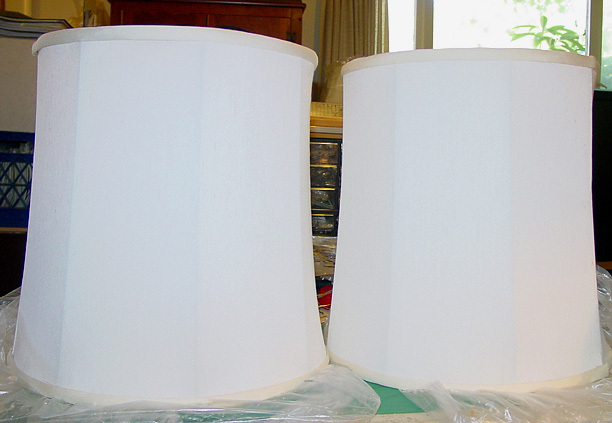 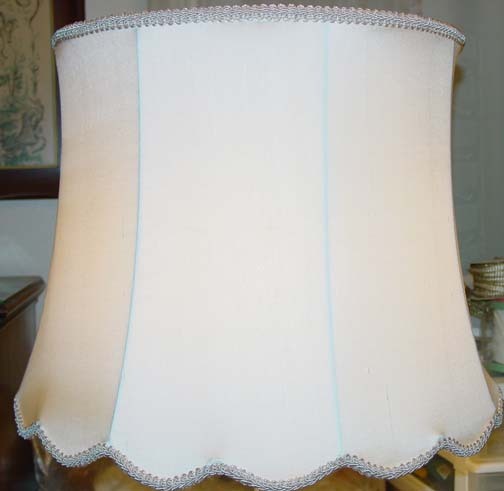 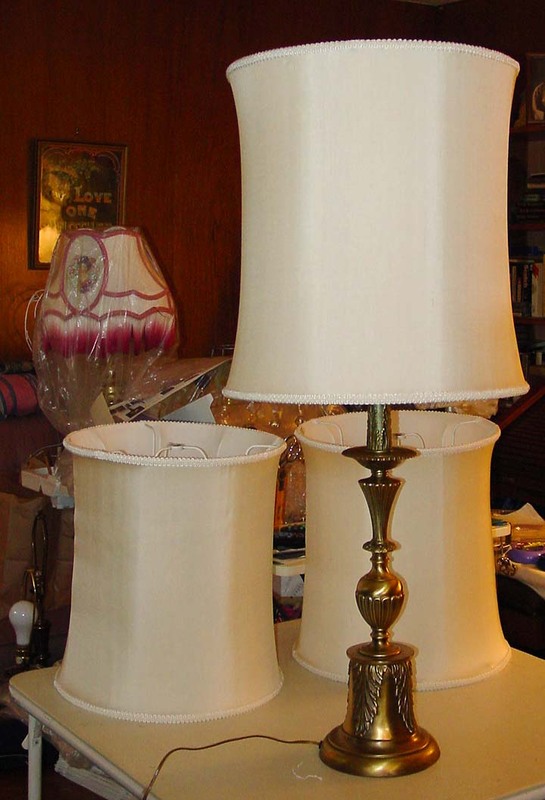 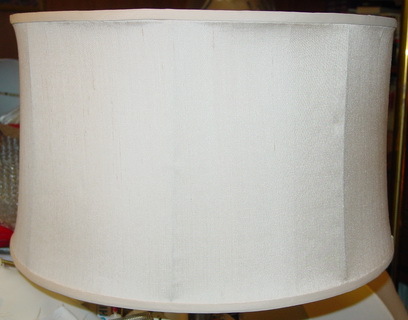 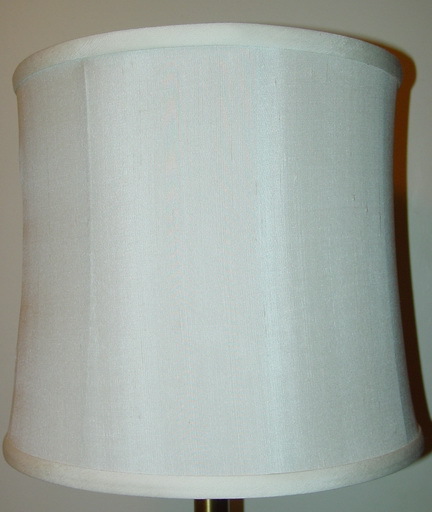 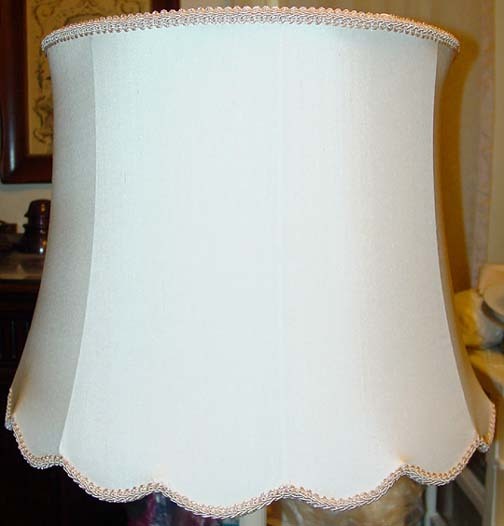 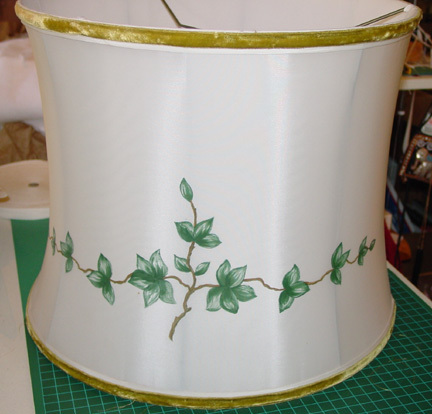 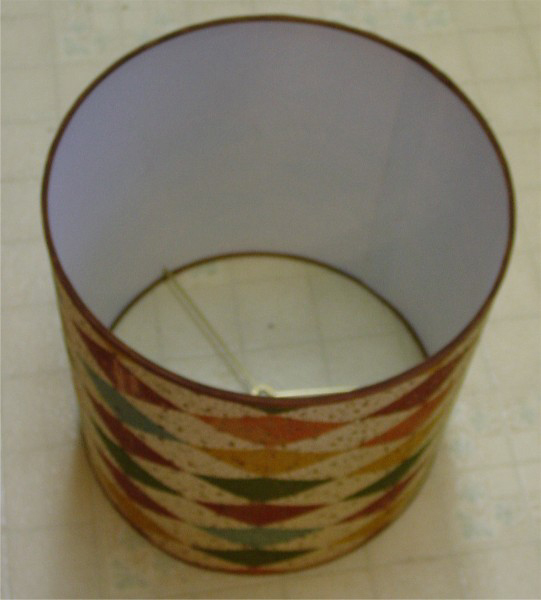 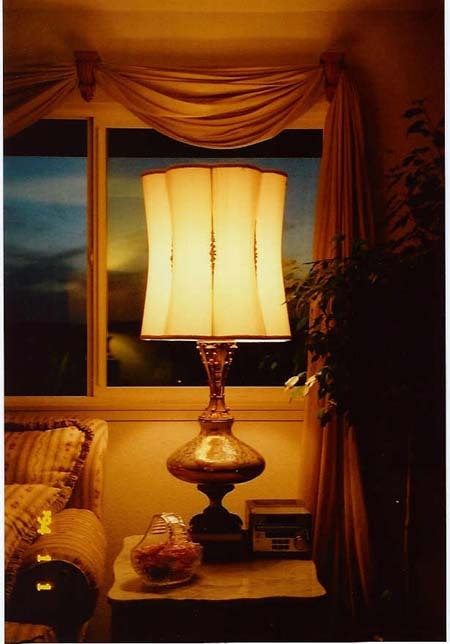 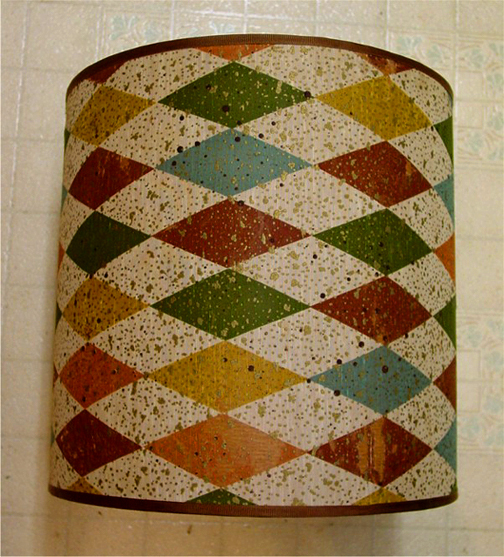 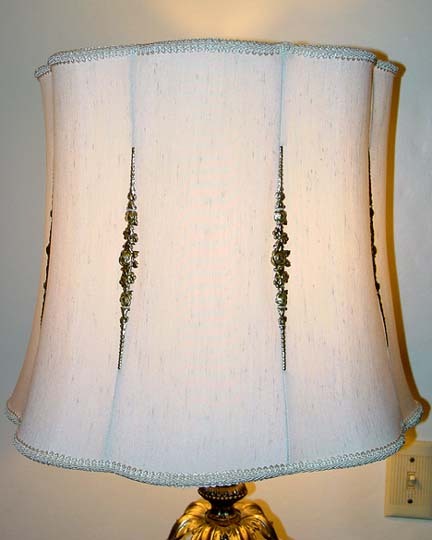 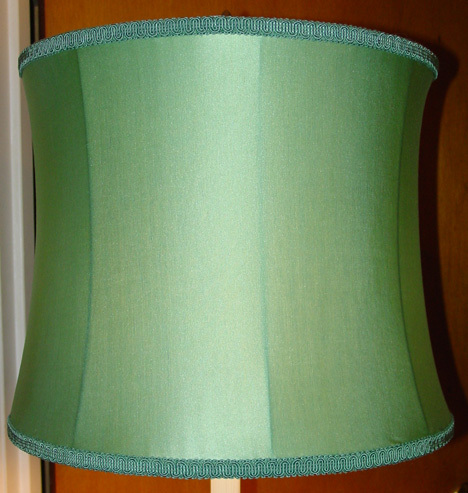 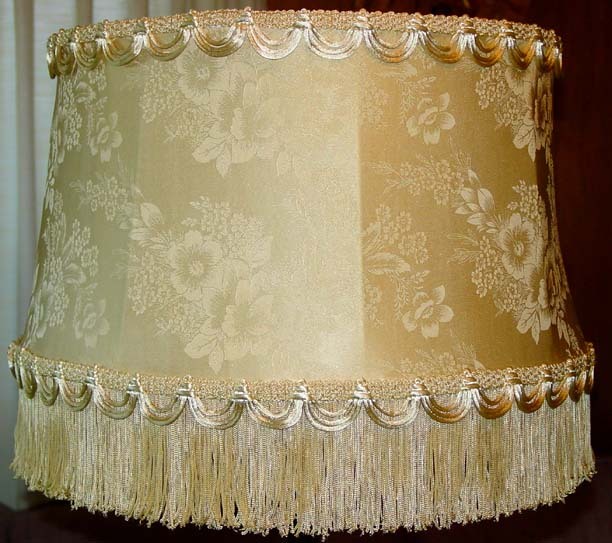 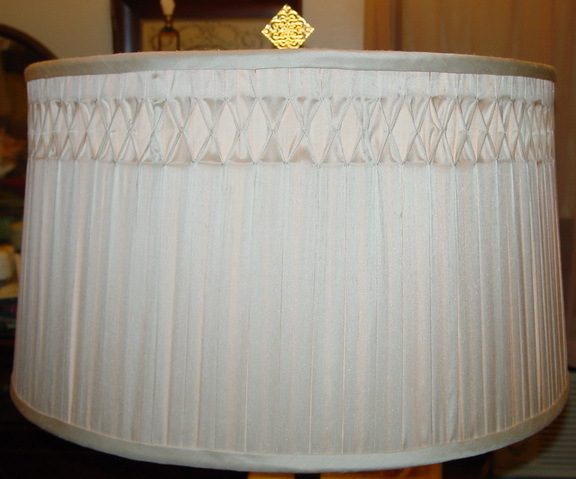 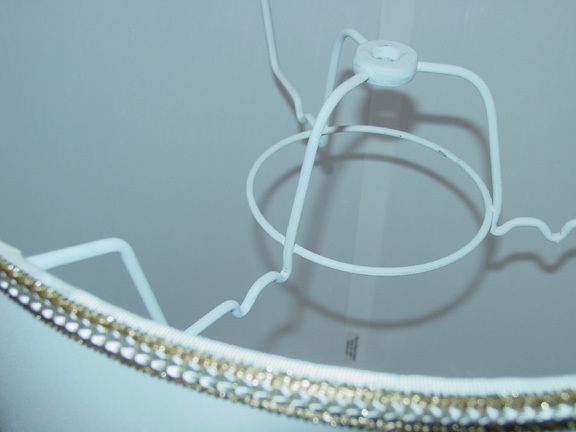 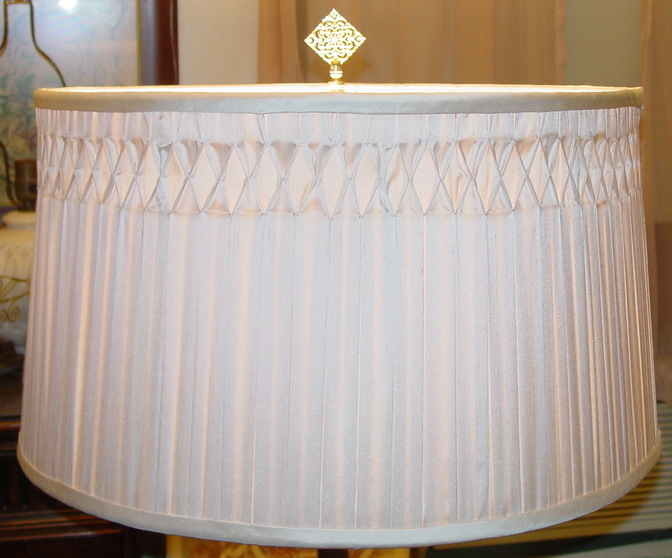 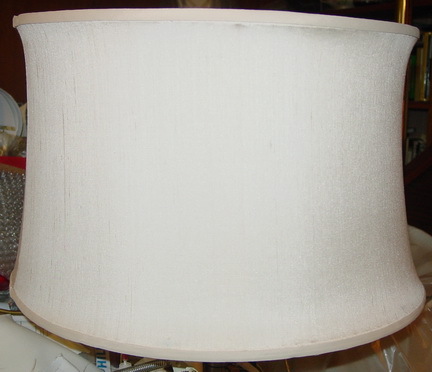 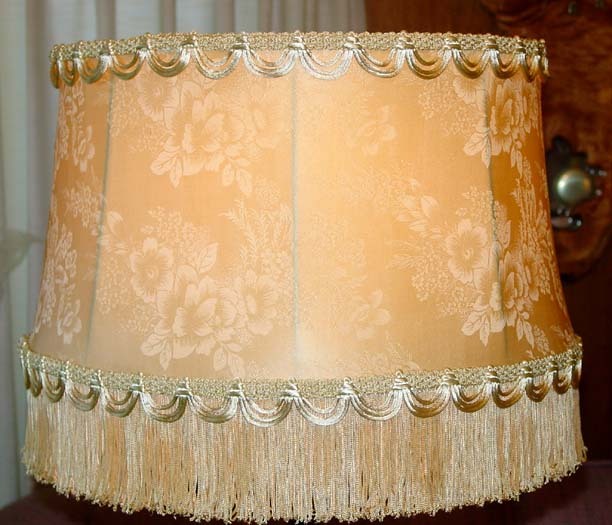 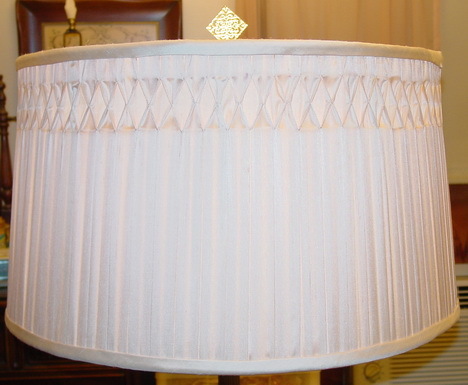 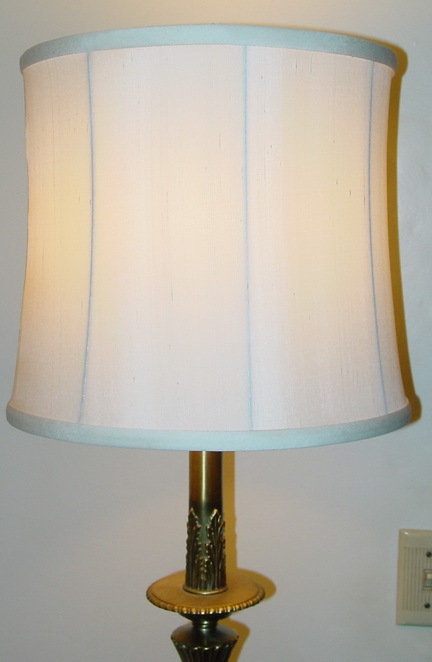 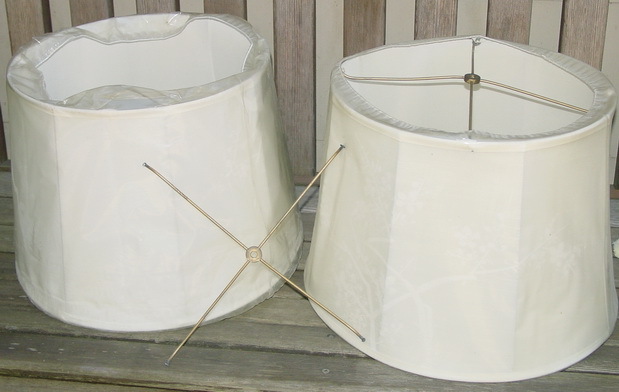 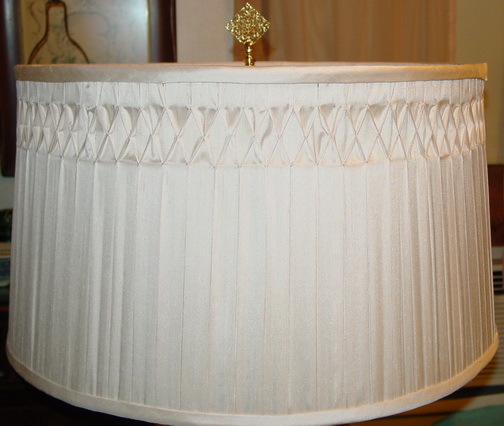 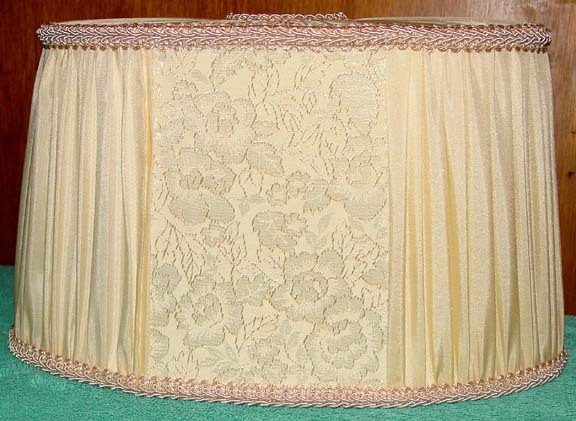 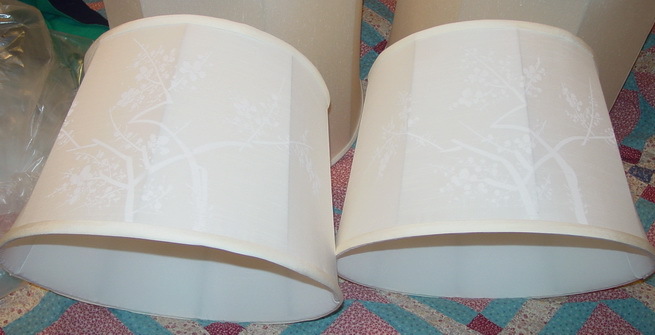 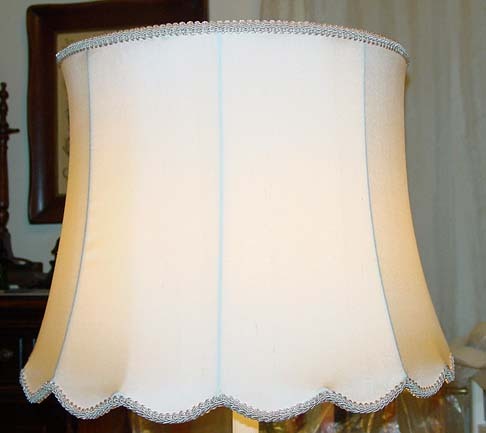 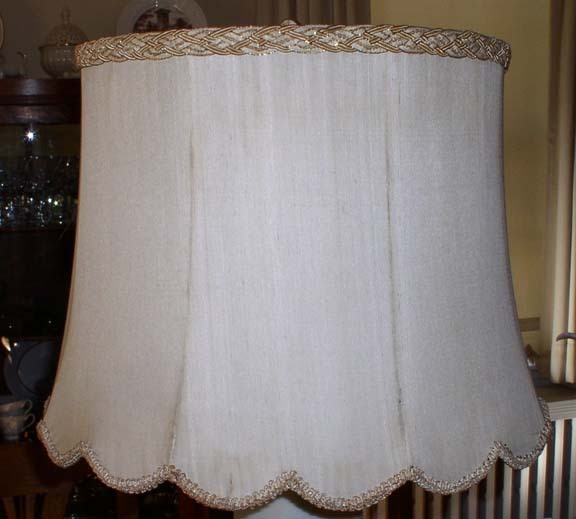 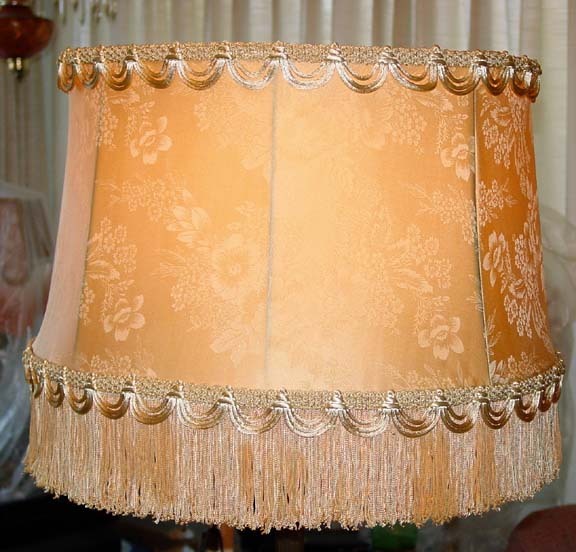 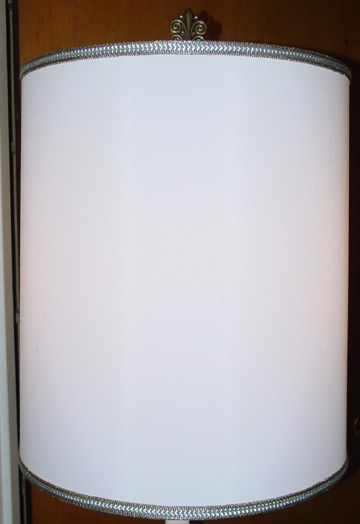 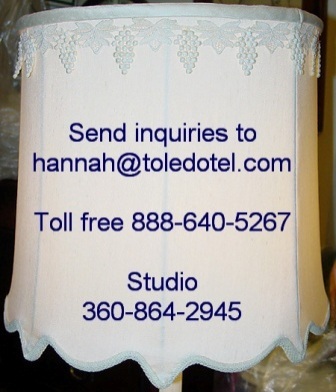 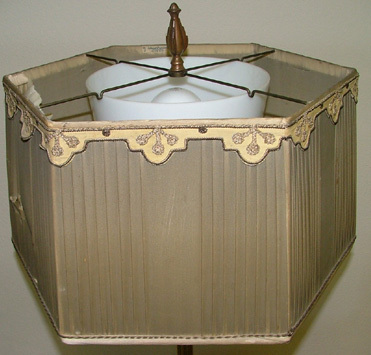 We can duplicate or restore almost any lampshade. 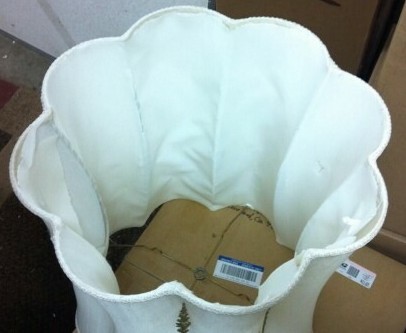 "She can make a silk purse out of a sow's ear"!